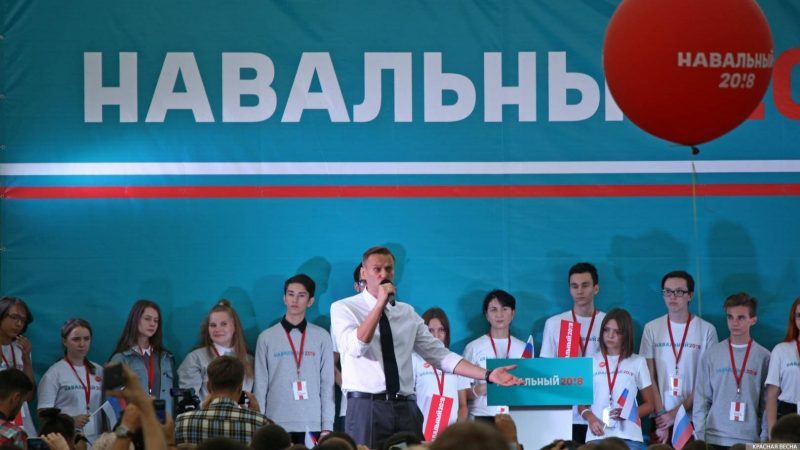 Viktor Raspopov, who is notorious for glorifying Adolf Hitler, became the leader of the Sverdlovsk office of opposition activist Aleksey Navalny’s new party “Russia of the Future”, the politician’s regional office reported on April 9 on its Telegram channel. Raspopov, who took charge of the party’s Sverdlovsk office, has previously posted photos with Hitler on his VK page. For example, in 2014 he congratulated his subscribers with the German Fuhrer’s birthday. “My congratulations to all the visitors of my page on the Third Reich’s national holiday, Adolf Hitler’s birthday,” Raspopov wrote on April 20, 2014, adding a photo of the Nazi leader on his page. Also, the activist has regularly posted memes depicting Nazi symbols and Hitler on his VK page. Aleksey Navalny previously participated in “Russian Marches,” which gathered members of far-right and pseudoleftist groups. It should be remembered that the Soviet Union lost 25 to 27 million lives in the Great Patriotic War. These include military servicemen, who were killed in action, and civilians, who were executed or tortured to death on the occupied territories and in German concentration camps, or died in the rear over the period from 1941 to 1945. This entry was posted in News from Russia and tagged Navalny, Political War, Revival of Fascism, Russia. Bookmark the permalink.